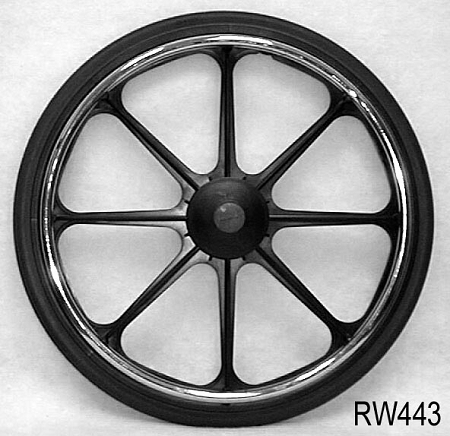 8 Spoke Mag Wheel for 1/2" Axle - 22 X 1 3/8"
22 x 1 3/8" mag wheel with 8 spokes and pushrims. Flush hub with 2.4" hub width. For 1/2" axle with bearings included. 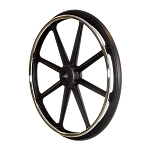 Choose from pneumatic street tire or urethane street tire. Sold as each. Q: Can 3/4 inch bearings be put in these wheels? These and most Wheelchair Rear Wheels take 7/16 or 1/2" Bearings. Are these going on a Wheelchair?